Tom Nichol came down to visit again during cocktail week for an evening showcasing gin and its capabilities to pair with food. Featuring a specially designed cocktail and a series of accompanying bites, each chosen to pair with the eight botanicals in Tanqueray No.Ten. 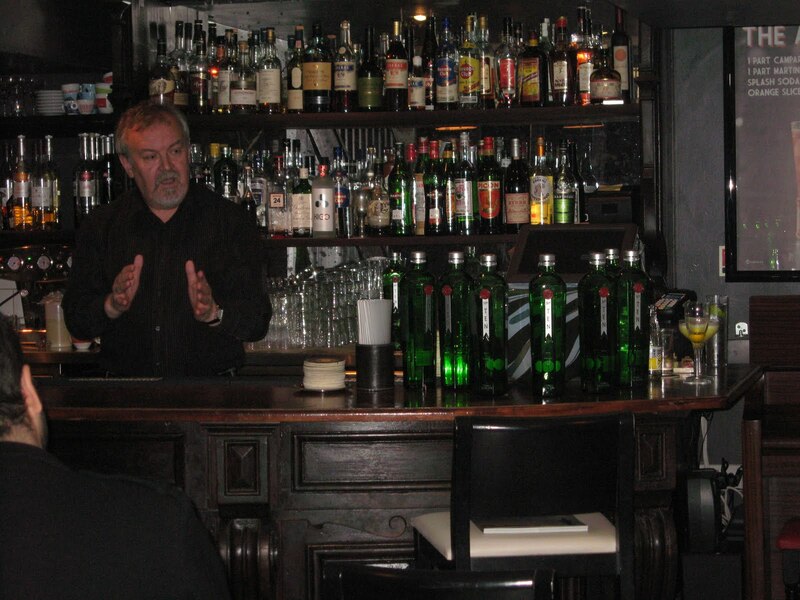 Tom has been distilling for many years and now as master distiller for Tanqueray he is responsible for creating one of the most recognised brands in the world and ensuring a consistent product that lives up to its reputation. 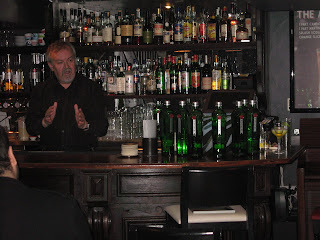 Tom gave a personal account of his experiences and an insight into the world of distillation before explaining how his hand is demonstrated in the final product. His expertise allowed each of the guests to understand the botanicals employed and allow them to get the most from the food pairings. This was then rounded off with the cocktail - Rana's Salute- which highlighted the flavour profile of the gin, but also how it works well as a product to not only use in cocktails, but also to pair with food.